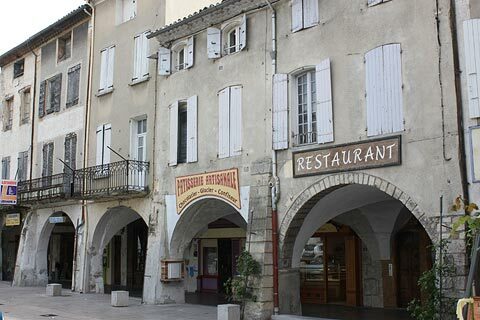 Nyons is a lively town in the Drome department (Rhone Alpes region) to the north of Vaison-la-Romaine. Nyons is an interesting town. 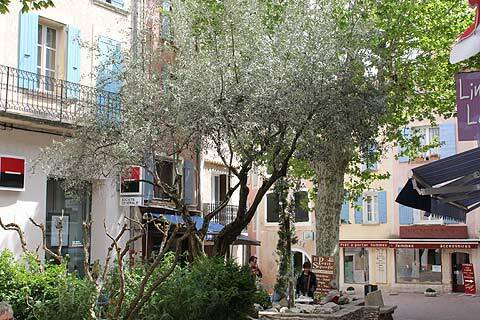 The lower part has a distinctly holiday feel with lots of outdoor cafés and restaurants and large plane trees offering shade. 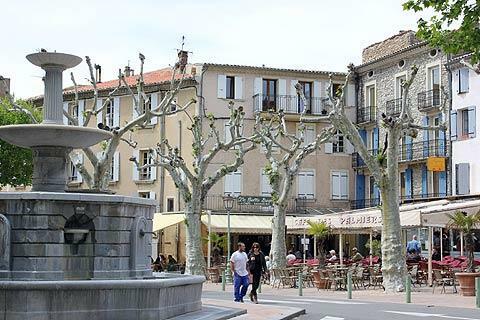 The main square, the Place du Docteur Bourdongle, is surrounded by arcades and one side is the arcaded Rue des Grands Forts which is the ancient chemin de Ronde (route of the ramparts). The square is at its most colourful on Thursday mornings when Nyons has its weekly market. 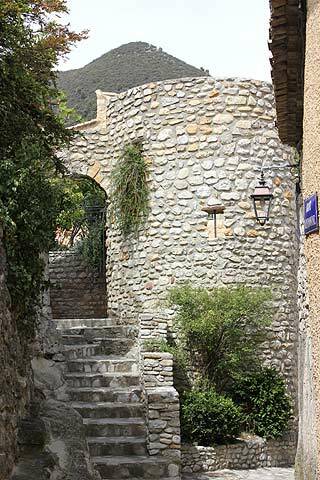 In this area you can also see the 17th century Church of Saint-Vincent with its pretty campanile. The inside of the church is unusual with wide, low arches rather than the tall narrow arches usually seen in churches. The town continues up the hill to the chateau. 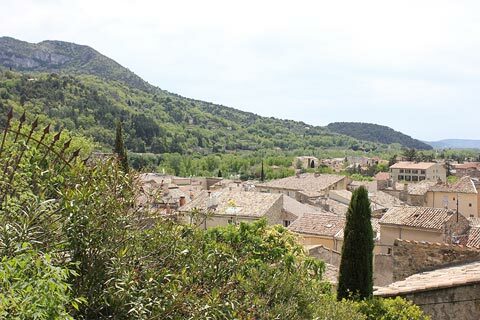 It is worth walking up to the chateau for the excellent views of the surrounding countryside. 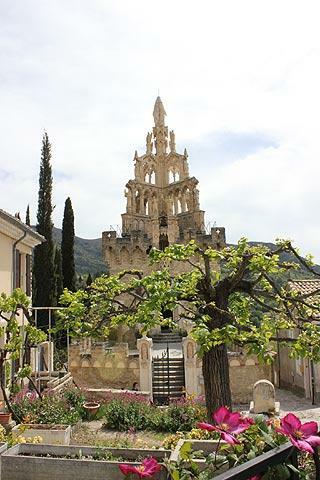 It is a little below the chateau though that you find the highlight of the town: in amongst the narrow winding streets and attractive stone houses at the upper part of the town you will discover the Tour Randonne, also known as the Chapelle Notre-Dame de Bon Secours. The Tour Randonne was built in 1280 as a symbol of the power of the Barons of Montauban, and it served as a prison. 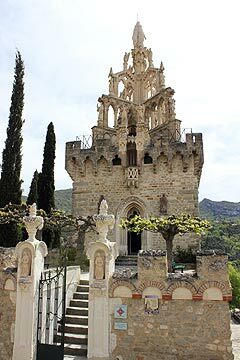 In 1862 it was converted into a chapel and a very unusual and attractive three-story pyramid was built on top of the tower and a statue of the Virgin Mary erected on top of that. 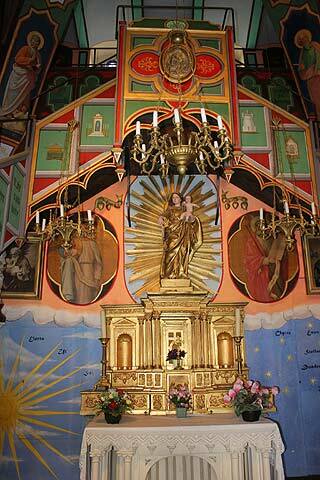 Inside the tower is a tiny but very brightly coloured little chapel. On the edge of town is the river Eygues and an old Roman bridge with a single arch 18 meters in height. Nyons has an aquatic park called 'Nyonsoleido' in the centre of town which has seven different pools and an assortment of slides. 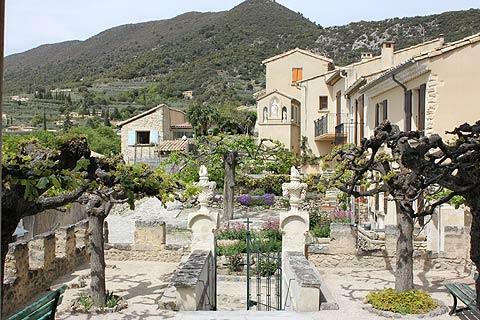 Nyons is in the heart of olive oil country and there are various moulins (mills) that you can visit to taste and buy the delicious olives and olive oil. Indeed its olive oil is considered to be amongst the best in France and is 'appellation contrôlé' and Nyons is one of 75 "Sites Remarquable du Gout" or places remarkable for the taste of one of their products - olive oil in the case of Nyons. 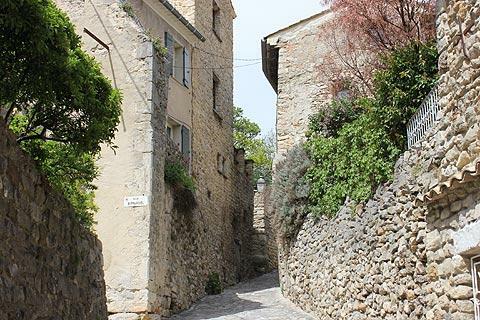 There are various different walks that start in the centre of Nyons including the 'Sentier de l'Olivier' that allows you to discover the olive groves. 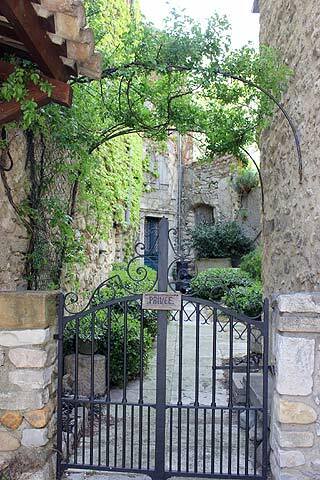 Close to the town you will want to stroll around the village of Aubres, and also close to here we suggest you visit the pretty village of Seguret and the small town of Vaison-la-Romaine.